Endoplasmic reticulum (ER) stress has been identified as a primary factor involved in brain ischemia-reperfusion injury progression. p21-activated kinase 2 (Pak2) is a novel ER function regulator. The aim of our study is to explore the influence of Pak2 on ER stress and determine whether melatonin attenuates ER stress-mediated cell death by modulating Pak2 expression in vitro using N2a cells. The results of our study demonstrated that hypoxia-reoxygenation (HR) injury repressed the levels of Pak2, an effect that was accompanied by activation of ER stress. In addition, decreased Pak2 was associated with oxidative stress, calcium overload, and caspase-12-mediated apoptosis activation in HR-treated N2a cells. Interestingly, melatonin treatment reversed the decreased Pak2 expression under HR stress. 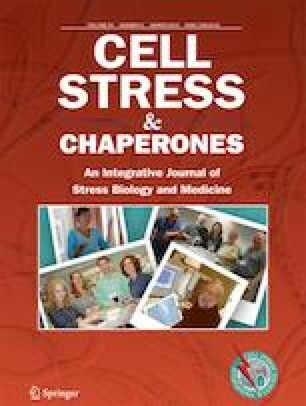 Knockdown of Pak2 abolished the protective effects of melatonin on ER stress, oxidative stress, and caspase-12-related N2a cells death. Additionally, we found that Pak2 was regulated by melatonin via the AMPK pathway; inhibition of AMPK prevented melatonin-mediated Pak2 upregulation, a result that was accompanied by an increase in N2a cell death. Altogether, these results identify the AMPK-Pak2 axis as a new signaling pathway responsible for ER stress and N2a cell viability under HR injury. Modulation of the AMPK-Pak2 cascade via supplementation of melatonin might be considered an effective approach to attenuate reperfusion-mediated N2a cell damage via repression of ER stress. Jin Xing and Hao Xu contributed equally to this work. The authors are grateful to the Institute of Basic Medicine Science of the Shanghai Pudong Hospital, Shanghai Fu Dan University School of Medicine for assistance. This study was supported by the main subject of the discipline construction of the Pudong New Area Health and Family Planning Commission (PWZzk2017-16) and Pudong New Area Health and Family Planning Commission Leading Talent Development Program (PWRL2017-03).